OpenSim land area continued to increase gaining a total of 3,400 standard region equivalents this month — after gaining more than 9,000 regions last month. The number of active users also increased by 1,300. OSgrid is still the biggest grid with a total of 20,203 standard region equivalents, followed by Kitely with 17,372, Atek Grid with 7,011, DigiWorldz with 5,284 and Lost Paradise closing fifth spot with 4,354 regions. 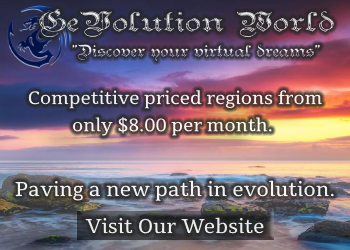 ZetaWorlds was the largest gainer in land area this month with 1,471 regions followed by Gevolution with 1,357 and OSgrid with 351 while Metropolis gained 274 regions. 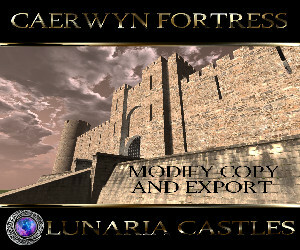 Virtual Worlds Grid lost the most regions this month at 365 followed by Insight Concepts which lost 119 regions and Encitra Home Grid which lost 90 regions and Dorena’s World closing the fifth spot at 67. There are 1,278 grids in our database in total, with 271 being active and 203 reporting statistics this month, up from 190 grids last month. These stats do not include most of the mini-grids running on the DreamWorld distribution of OpenSim, or private company or school grids. 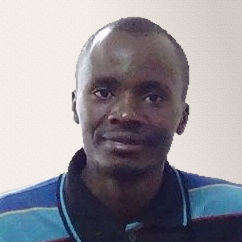 DreamWorld has counted more than 8,483 mini-grids created with this installer alone so far. You can also add your grid in the stats if it is not being crawled by OutWorldz. OutWorldz also provides OpenSim users with free mesh items, OARs and free seamless textures that you can download and use on your grids. OSgrid was the most active grid this month with a total of 4,183 active users, followed by Metropolis at 3,473, GreekLife with 2,313, GeVolution with 2,249 and DigiWorldz closing the fifth spot with 2,132. This month, GeVolution gained the most active users at 1,389 followed by Freedom grid with 442, Eureka World with 392 and The Social Mouse with 275. Astralia grid closed the fifth spot with 192 new active users in the last month. The Hypergrid Business database currently tracks 1,278 grids, of which 271 were active this month. 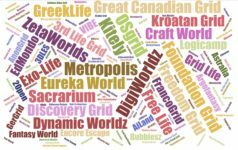 OutWorldz has another system for tracking grid counts, and has currently counted a total of 8,483 Dreamworlds or grids created with the DreamWorld software owned by OutWorldz. The DreamWorld software allows users to easily create and run grids at home as well as to connect to other OpenSim grids. 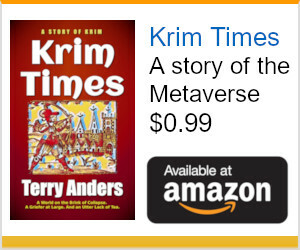 Out of the 8,483 Dreamworlds, 6,534 are private and 1,949 are hypergridabble. The details of statistics can be found on Hyperica directory of grids. and the daily summaries here on the OutWorldz website. Any grid owner can add their grid into the list on the OutWorldz website if OutWorldz is not currently tracking its online status. There are currently 11,566 product listings in Kitely Market containing 22,261 product variations, of which 17,218 are exportable. 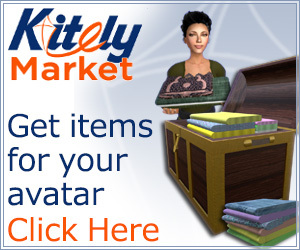 Kitely Market has delivered items to 257 OpenSim grids to date. Exportable content has been growing at a much faster rate than non-exportables since Kitely turned the hypergrid export functionality, as merchants increasingly become comfortable to selling to the hypergrid. 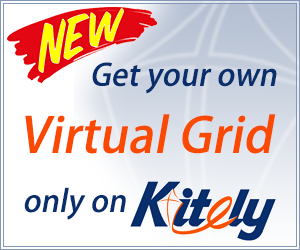 However, non-hypergrid grids can also accept Kitely Market deliveries, giving their residents ready access to a wide, legal, and ever-growing collection of content. Gloebit, which operates the Gloebits in-world currency, registered about 200 more app users in the last month to reach 8,073 total app users registered this year while the network has registered a total of 4,590 accounts this year.The number of transaction volume was also up this month. 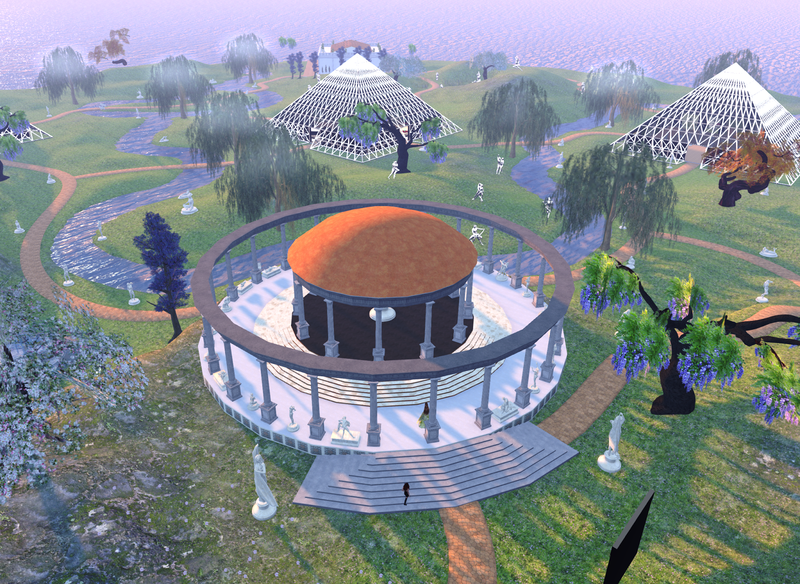 The Gloebit virtual money is currently accepted at more than 30 OpenSim grids. Full list of participating grids and other partners is here. Revenue in VirTec vending network dropped by 12 percent even as the number of merchants remained fairly the same at 39 and the number of transactions just above 500. The open source Ruth 2.0 avatar will be showcased at the upcoming Avatar Fashion & Accessories Expo, which runs from April 2 to April 30 in Tangle grid‘s Expo Isle region. It will be an opportunity to spotlight all the hard work and innovation put into the project so far, organizers say. Shin Ingen, a developer for the avatar, is also working on a male avatar version of the Roth, but it is uncertain if Roth will be ready for presentation by April. Themed areas include vampire, fantasy, and steampunk, she added. All OpenSim hypergridders, residents, designers and creators of clothing fashion and accessories are also invited to showcase their avatar fashion and accessories items. It is free to exhibit. Exhibitors can pick out a stand at the site where they will place their items — either free or for sale — as they await for the event opening. You can contact [email protected] or [email protected] if willing to exhibit. The hypergrid address is tanglegrid.net:8002:EXPO Isle. Kitely has reached a milestone of 100,000 registered users, marking significant growth over the past year. 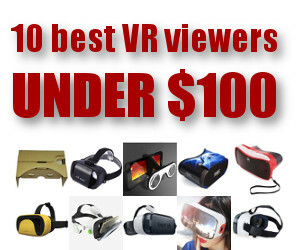 That includes users who just create an account to access the Kitely Market, however. But most of their registered users have entered the Kitely grid at least once, he said. At this time last year, Kitely had 80,287 registered users, for a growth rate of 25 percent. This is the twelfth-highest registered user increase of any major OpenSim grid. In 2012, Avination more than doubled in size. And Kitely itself also saw higher growth rates each of the last three years. Other grids that have seen more than a 25 percent growth over the course of a year include InWorldz, The Adult Grid, OSgrid, Island Oasis and the now-defunct Avination grid. AviWorlds has backed down on its previous plan to charge $200 for a 15,000-prim region. The new prices are now $10 for a standard-sized 15,000-prim region, $15 for 25,000 prims and $20 for 30,000 prims. There is also a $5, 5,000-prim region, and large variable-sized regions as well. There is also an option for a $5 for a 65536 sqm land of up to 5000 prims, and free residential lots. There are also large, variable-sized regions for flight simulations available on request, but the prices for these are not currently posted on the company’s land sales page. The lower prices will help gain more residents, Logan Hunter, one of the grid’s investing partners, told Hypergrid Business. “I know that the AviWorlds has gone through various problems in the past, but the time has come to correct such mistakes and move on,” he added. AviWorlds has officially announced that it has closed at least ten times since it launched seven years ago, and has changed business models multiple times. A vote by the three AviWorlds board of directors favored the new pricing model, grid owner Alexsandro Pomposelli told Hypergrid Business. Refuge grid has closed down last month and some residents already relocated to other grids. Although the grid was kept small and was known for its stability and weekly parties, it is no longer financially sustainable, owner Seth Nygard told Hypergrid Business. “I had not wanted to shut things down but could no longer justify the expense — time and money — of keeping it going when I had little to no time to actually enjoy it myself due to my full time work,” he said. For now, fans of the Paramour Shopping, Hedonism regions can look out for the regions in Littlefield Grid. They are still hypergrid enabled. Both public regions will be identical to the way they were in Refuge Grid so it will be possible for visitors to identify the regions in the new home. 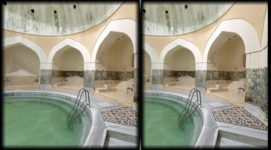 However, there will be a few renovations to organize things here and there, owner of the regions Aine Caoimhe told Hypergrid Business. During the three years of operation in Refuge grid, Paramount Shopping saw thousands of visitors. The new hypergrid address is lfgrid.com:8002:Paramount Shopping. Hedonism has held dances every Sunday evening for four years of its stay in Refuge Grid and will continue to do so in Littlefield grid. The Hypegrid International Expo has been postponed to September 29 and 30 due to technical issues. The issues leading to its postponement include space and to facilitate some of the speakers for the event. The change will make it less stressful for participants. HIE offers an opportunity for non-native speakers of English who are OpenSim residents to tell the community about their projects, in their own languages. Last year’s HIE was held on Craft Grid over the weekend of 16 and 17 December, with over 50 people attending each day. Last year event attracted talks in German, French, Italian and Spanish and on various themes including art, education, grid history, poetry, and tools for OpenSim. 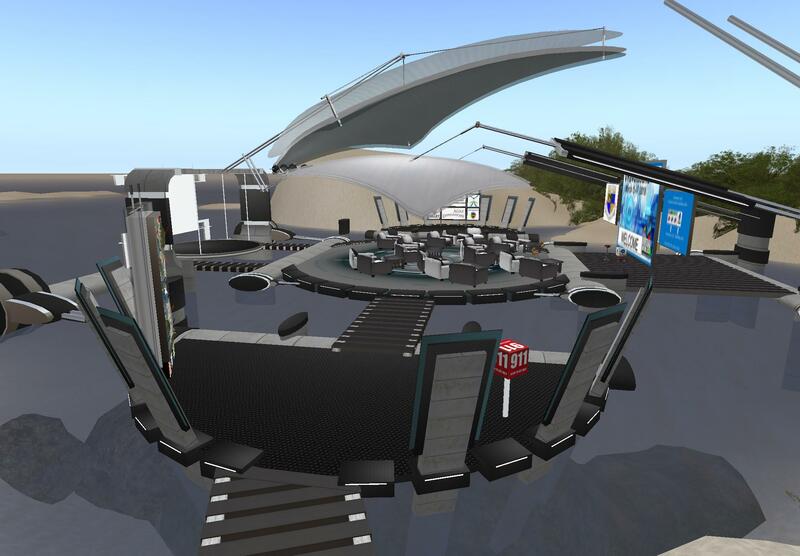 In addition to the talks, any hypergrid-friendly OpenSim resident can participate with a publicity stand on the three Auditorium regions of the HIE. Through the use of Inworld Groups and a team of bilingual volunteers, ‘subtitles’ are provided in all these languages plus English, making it possible for everyone to follow the talks. Mal Burns and James Atlloud, who filmed last year’s event will also be filming the 2018 event. The Virtual World Best Practices in Education 2018 Conference began yesterday and will conclude tomorrow in Second Life. The events are on the VWBPE 2018 region, and are free for attendees. 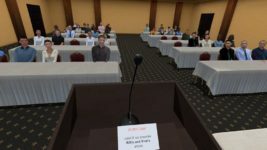 Unlike previous years, there are no OpenSim-located events. This year’s theme is VRevolutions and will discuss the various current and expected evolution in the virtual world education spaces. Some of the speakers and presenters include keynote presentations from Dr. Bryan Alexander who has spoken in various venues and events. There are also a host of other activities before the start of the conference. For instance, attendees can learn how to use building shapes, digital art, and a drawing board to inspire insight, new perceptions, and creative inspiration in education scenes. This will take place on March 12 at the Inspiration Island. The following grids were added to our database this month: Beastly Worldz, DreamWorlded, Freedom, Freedom Grid, Omega Grid, The Social Mouse, Warrior Virtual Support, and Skytec Grid. The following 14 grids were suspended this month: Admeja, FranEsti Grid, Hypergrid International Expo, Lost Soul Camp, Meet Instantly, Mimic Life, My Educational Community, My Virtual Community, ScienceCircle, SimValley, TCU, Tenebris Mysterium, Traduverse, and YSLife. In addition, if a grid wants to be included in the monthly stats report and the most active and largest grid lists, it needs to have a stats page that shows the number of unique 30-day logins, and the total number of regions on the grid. In order for the grid not to be under-counted, 30-day active users stat should include hypergrid visitors, and the land area should be in the form of standard region equivalents, square meters, or square kilometers. We posted a stats FAQ page here. The list below is a small subset of existing OpenSim grids. We are now tracking a total of 1,278 different publicly-accessible grids, 270 of which were active this month, and 204 of which published their statistics.